Meters installed by Landlords and Property Managers for submetering must now conform to the exactly the same standards as meters installed by the Electricity Supply Companies. 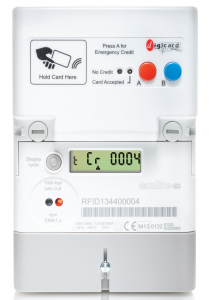 Every new electricity meter or gas meter installed for billing purposes must be approved to MID (Measuring Instruments Directive) regulations. The use of unapproved meters is and to bill electricity or gas with a non-approved meter is classed as a criminal offense. A list of governing bodies, together with the instruments they have been designated to approve, is available on-line. MID approved gas and electricity meters can be identified by their specific markings, as required under the directive.